Upgrading environments has changed. The Update button is replaced by two buttons: an Apply button and an Upgrade button. The Apply button appears when you make changes to your environment settings or other settings, such as cron jobs, SSL certificates, or New Relic plan. Click to apply your changes to the environment. The Upgrade button appears when a newer version of the Engine Yard stack is available. Click to upgrade your environment to the current Engine Yard version. Before upgrading, review the change list for Engine Yard stack version. For more information, see Upgrade an environment. Using the latest version of the Engine Yard stack. Testing in a cloned environment before applying changes or upgrading. Important! If your stack is very out-of-date, you see this message: “Upgrading will enable Stack Change Management.” You will not see the Apply button until after upgrading. Remember, when updating a very out-of-date stack for a production environment, always test in a cloned environment first. Occasionally, Amazon cannot shut down an instance when a termination request is made. If this happens, you get a “Termination Failed” message. You can then choose to force the instance to terminate or to retry to terminate the instance normally. For more information, see Termination Failed error when shutting down an instance. Updated the collectd web interface to use a unique password dynamically generated for your environment. Previously, a static password was used. We patched an availability vulnerability in Passenger 2 and 3. Although, there have been no known attacks targeting this vulnerability, if you use Passenger 2 or 3, we strongly recommend that you update your environments. Unpatched sites are vulnerable to DDOS attacks. Updated the delayed_job script to fix an issue where it was not running as the deploy user. No more cutting-and-pasting of deploy keys from AppCloud to GitHub. You can choose to link your Engine Yard account to a GitHub account. After linking accounts, when you create an AppCloud application using a GitHub repository, the deploy key is automatically created. For more information, see Link a GitHub account to an Engine Yard account. 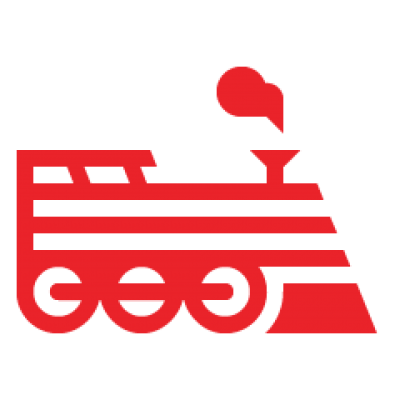 Improved deployment for Rails 3 applications. Fix for PostgreSQL Alpha users: now only bad queries are logged; previously, all queries were logged. Fix: ActiveRecord reconnection for Rack and Rails applications. Fixed a rake version issue in script/engineyard/bin/resque that caused Resque workers to fail. This issue applied only if bundler was used in older AppCloud environments (or in Engine Yard xCloud environments). Ruby 1.9.2 has been available in AppCloud for a while. However, until now, Ruby 1.8.7 has been the default Runtime. For more information, see Migrate to Ruby 1.9.2. Phusion Passenger 3 brings substantial performance improvements over Passenger 2. For new environments, Passenger 3 is the default web stack server in AppCloud, replacing Passenger 2 as the default. On the environment, click the More Options tab. Under Web Stack Server, choose Passenger 3. Update and boot the environment. Context-sensitive help now appears on Application and Environment pages in the UI. Database exec plugins are now correctly configured on database instances (solo, db_slave, db_master). Previously, these were being configured on non-database instances.